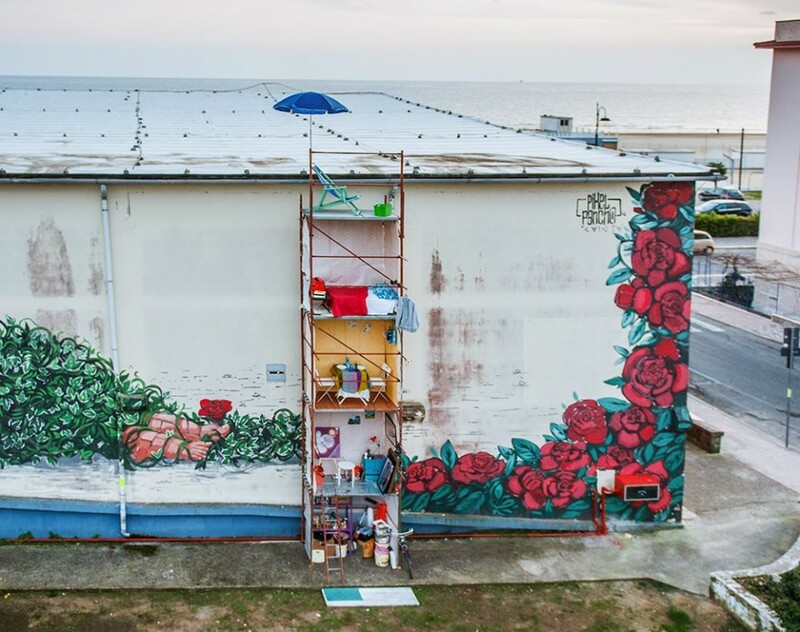 The scaffolding used by a street artist to complete large murals becomes a tiny, less-than-private home away from home in a literal sense with ’24/7,’ an installation at the Memorie Urbane Street Art Festival in Gaeta, Italy. 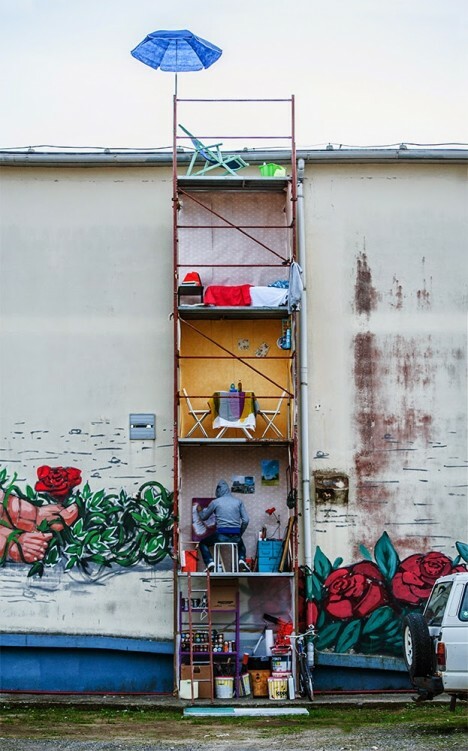 Playing on the concept of an artist-in-residence, the project by Milan-based Fra.Biancoshock highlights the stark difference in the working environments of street artists versus studio artists, and makes a statement on the living conditions of artists in general. Street artists work in public by necessity, every stage of their work on display for passersby. Privacy isn’t really an option when you’re painting urban surfaces. 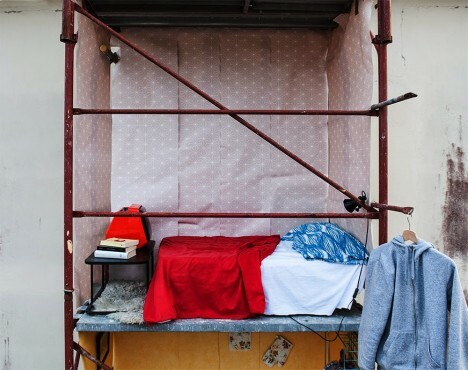 Some artists spend so much time on scaffolding, it can start to feel like a second home. 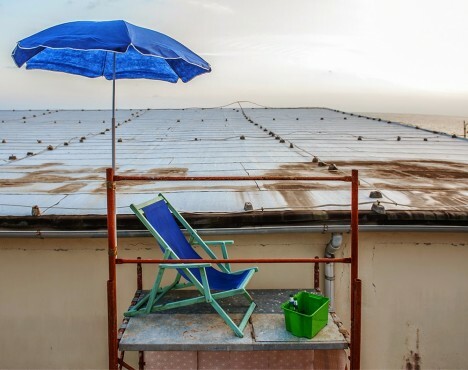 Fra.Biancoshock decided to run with that idea and create his own four-story residence including a small studio, dining area, bedroom and rooftop terrace within just a few square meters. 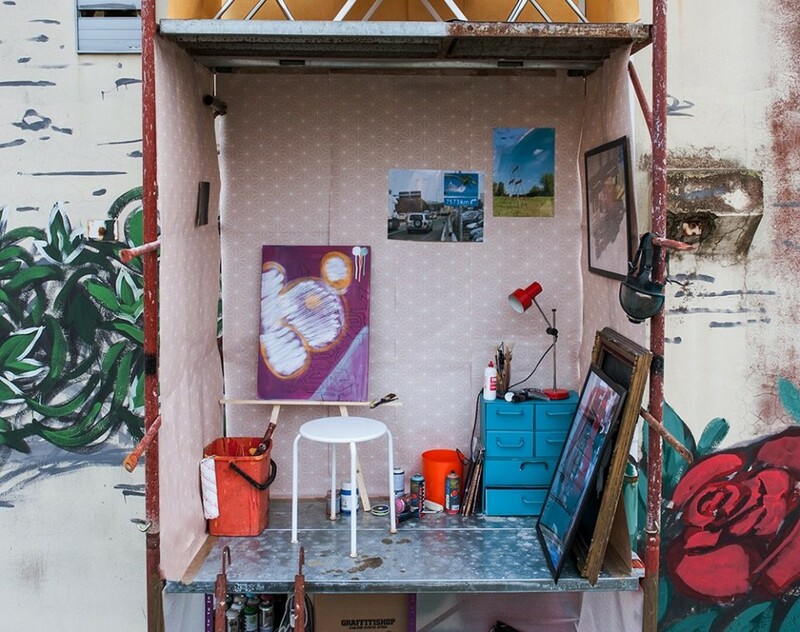 Open to the elements and to prying eyes, this temporary artist residence makes the livable billboard created by the paper company Scribe in Mexico City look luxurious by comparison. 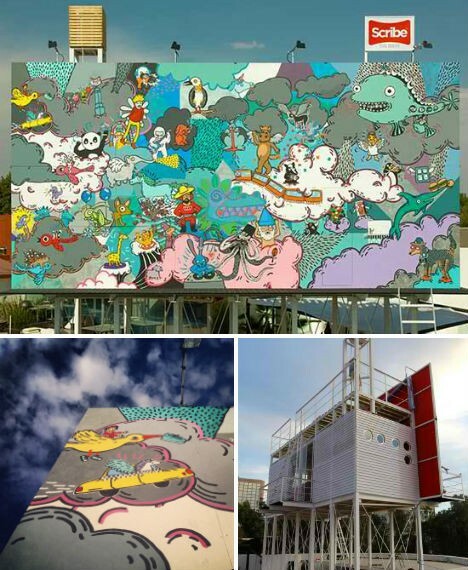 That project offered an elevated living space for artists mounted to the back of the billboard they were painting as an ad for the company.